They say people who are into music.. their brain works very well with memory even when they enter old age.. I picked up learning piano and I did not pick up for that reason. I have started on guitar a while ago and it took back seat after one session of basic beginners’ class. I wasn’t committed as much to put forth such an effort, my fingers hurt me.. but Piano seems to be easy and much exciting.. here I am trying to bring my music talent up. Also, I could use this as a medium for stress buster. Don’t you think so? One of my dear friends got me started on it and yesterday was my first class. I learned to identify notes and tried syncing my brain with the sequence of notes. The problem is the moment I switch on metronome, I stumble and fail to be in sync and I need to really practice that. Patience and perseverance is the key. On a brighter side, I could still remember treble clef (usually played by right hand) – EGBDF (Every Good Boy Does Fine) and the gaps between the lines of clef from bottom to up is FACE. For the base clef, played by left hand it is GBDFA (Good Boys Does Fine Always) and the gaps between the lines of Clef ACEG. Pictures speak more than writings.. here is what I mean..
And, I’ll be blogging about my progress here.. as I hit my mini-milestones in the process. Any Piano lovers or players? 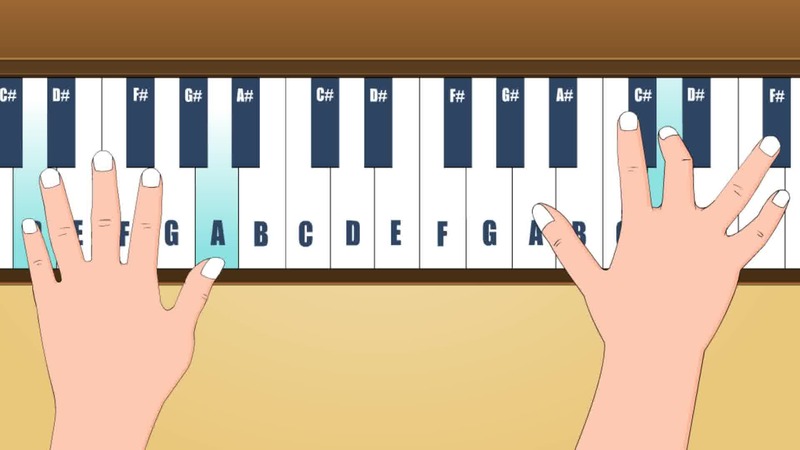 Is anyone out there who started on Piano classes in their adult life and got somewhere? .. if so how long it took for you to comfortably play around with keys?